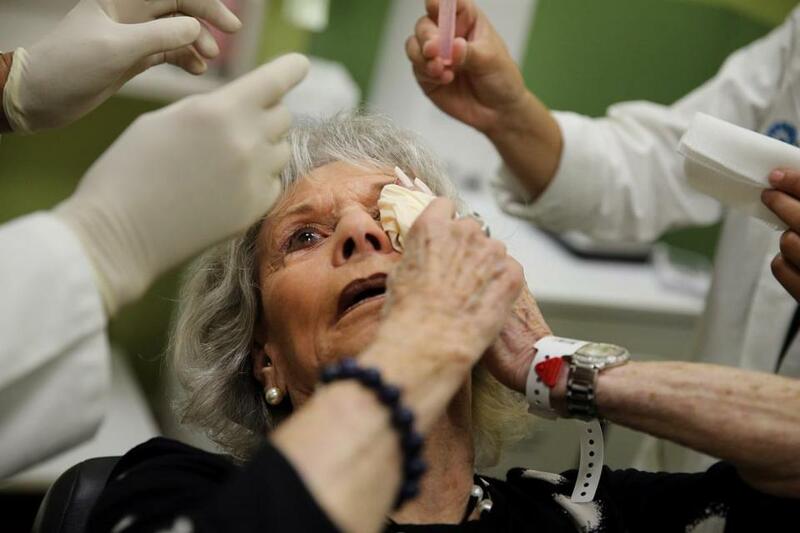 Althea Lank is treated for age-related macular degeneration at Mass Eye and Ear Infirmary. But scientists in Massachusetts and around the world are experimenting with dozens of drug candidates, including about 20 in clinical trials, that work to preserve vision and, ideally, restore sight. They include not only well-established drugs, such as repurposed statins, but also new approaches such as gene therapies, stem cell treatments, and medicines tailored to the genetic makeup of patients. 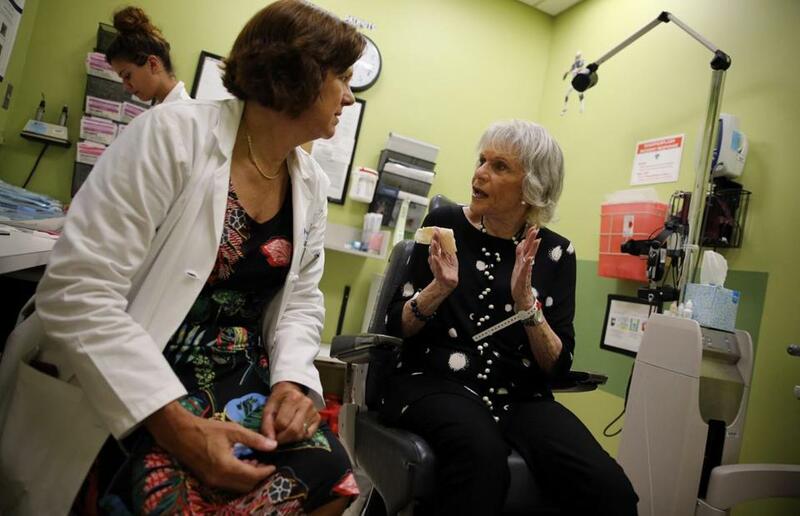 Dr. Joan Miller spoke with Lank before treating her for age-related macular degeneration at Mass. Eye and Ear last week. Ben Shaberman, an official at the Foundation Fighting Blindness, a patient advocacy group, said the retina — a thin tissue lining the back of the eye — is emerging as an ideal proving ground for the young gene therapy field. 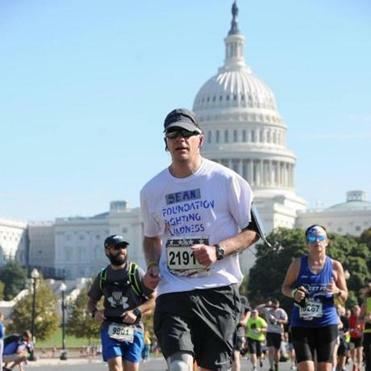 Sean Teare, a 48-year-old who has age-related macular degeneration, ran the Marine Corps Marathon last year. Teare feels lucky to have the less severe form of the disease. And he’s been quick to embrace lifestyle changes — eating a diet rich in fish and vegetables and wearing sunglasses with ultraviolet eye protection — in an effort to keep it from progressing. Last year, he ran the Marine Corps Marathon in Washington, D.C., to raise money for the Foundation Fighting Blindness. He’s counting on his healthy diet and lifestyle — and his upbeat attitude — as he awaits the progress of research programs.